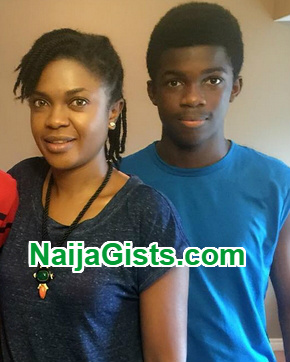 Popular Nollywood actress Omoni Oboli has every reason to thank God for healing her son, Gozi of breast lump. 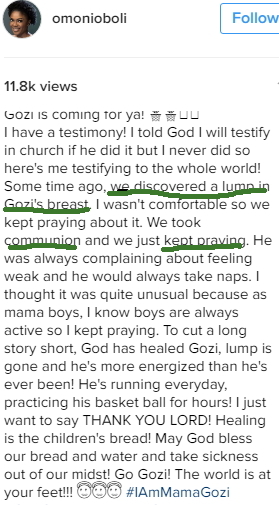 She confirmed this via an amazing testimony she shared on her Instagram page few hours ago. Painful breast lump is one of the number one symptoms of breast cancer in men. Thank God for healing him. Thanking God for you life boy. Your healing is permanent. Continue to walk by faith and it is established IJN.